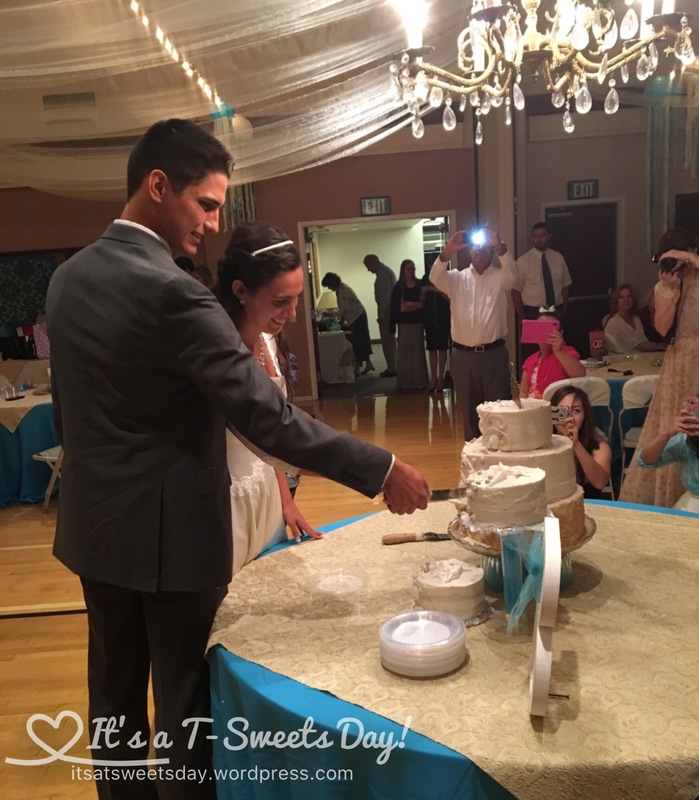 A Part of Your World Crazy Wedding – It's a T-Sweets day! 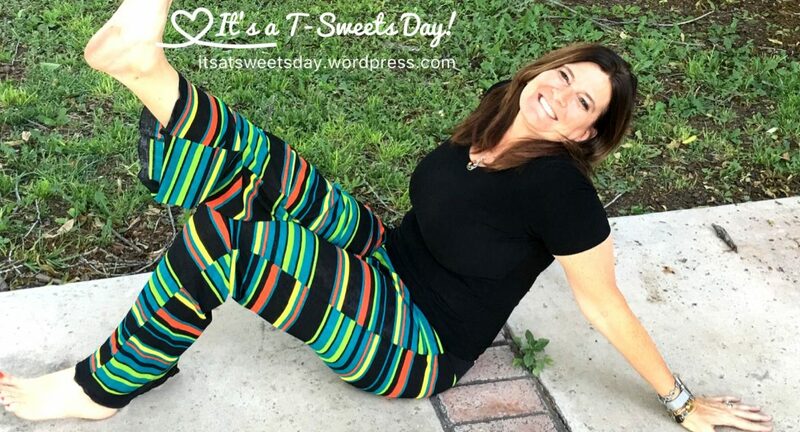 Published on October 10, 2016 October 10, 2016 by Tracy @ It's a T-Sweets Day! It has been a crazy, but wonderful weekend. My niece got married and I helped decorate and made the cake. 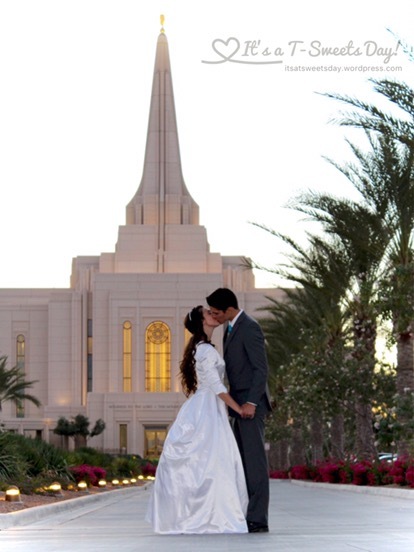 Those things are usually not a big deal, but she wanted her wedding at the LDS Gilbert, AZ Temple which meant we had to load everything on a trailer and haul it 2.5 hours away. 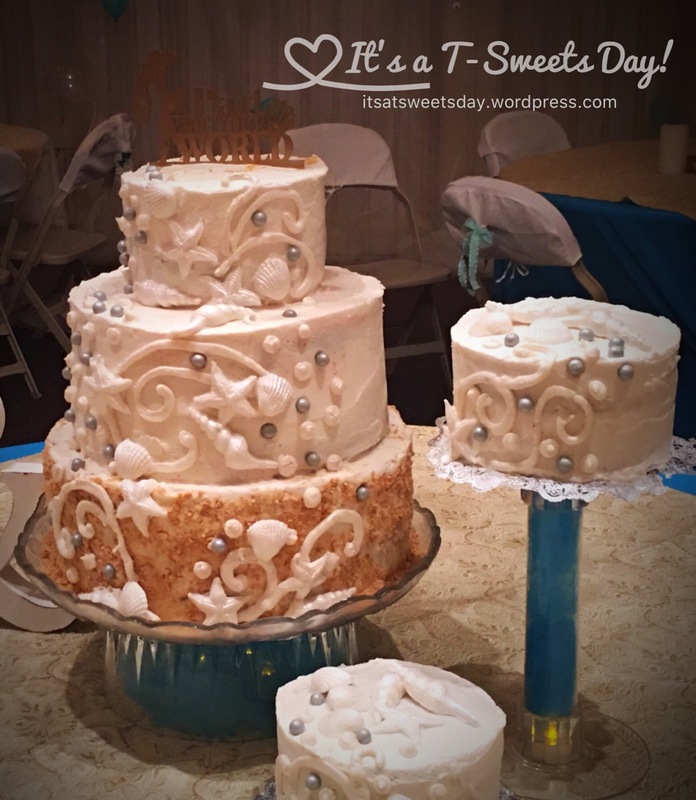 I had to decorate the cake the day of the wedding at the church building. Really, it was not a problem, it just made the weekend crazy:)! 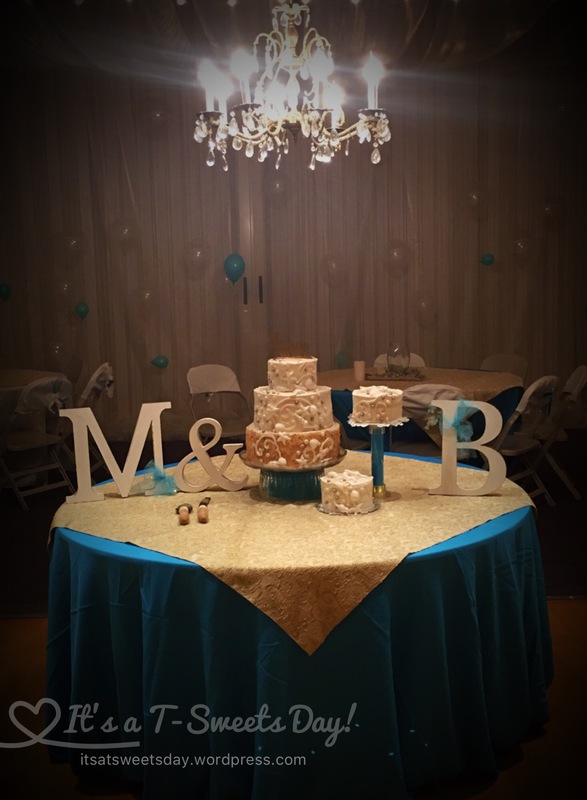 Another crazy thing about this wedding, was that my sister had asked our dear friend to help her with the decorations, and I was just going to do the cake. But our friend’s husband had a heart attack the day before we were going to set up and of course was going to be with him during his surgery! His surgery went fine and looks like he will be up and going soon in no time, thank goodness:) Our thoughts and prayers are with him. So the day before the set up, I was scrambling around gathering and loading everything in my wedding closet and borrowing from others to take over and help fill in where needed. It’s what family does, right? I think the added crazy part was that we are still jet lagged from our cruise. We are just running on fumes:)! The cake itself turned out lovely except for the topper. I had grand hopes of it being the main focus, but it kind of got lost in the background. I even painted it gold to hopefully add some contrast, but it still seemed to disappear. Oh well, chalk it up to crazy, it still looked lovely. I liked the Under the Sea theme. 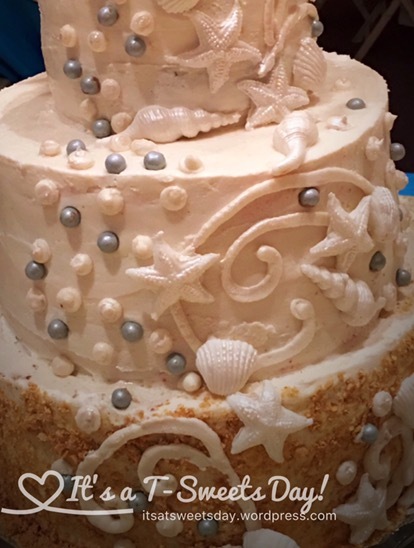 It was fun adding the graham cracker sand and shells to the cake. 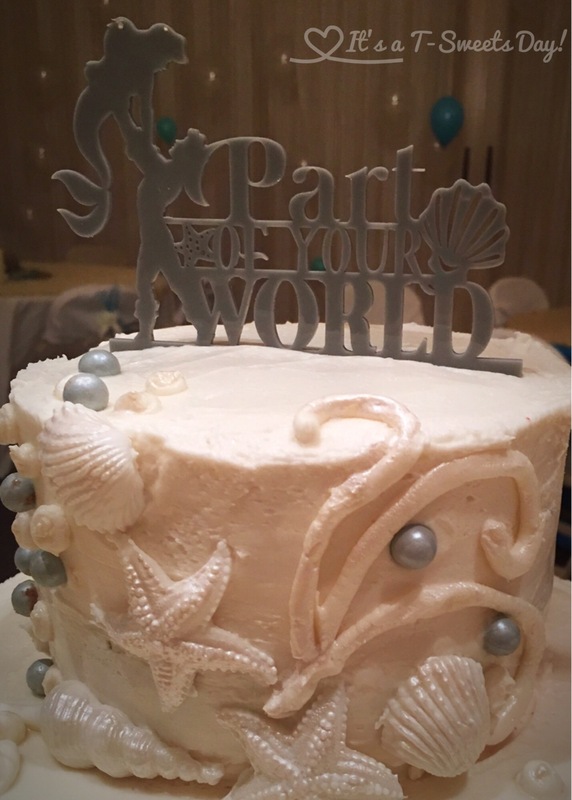 I used buttercream and fondant shells over red velvet, chocolate Oreo, and key lime cakes. 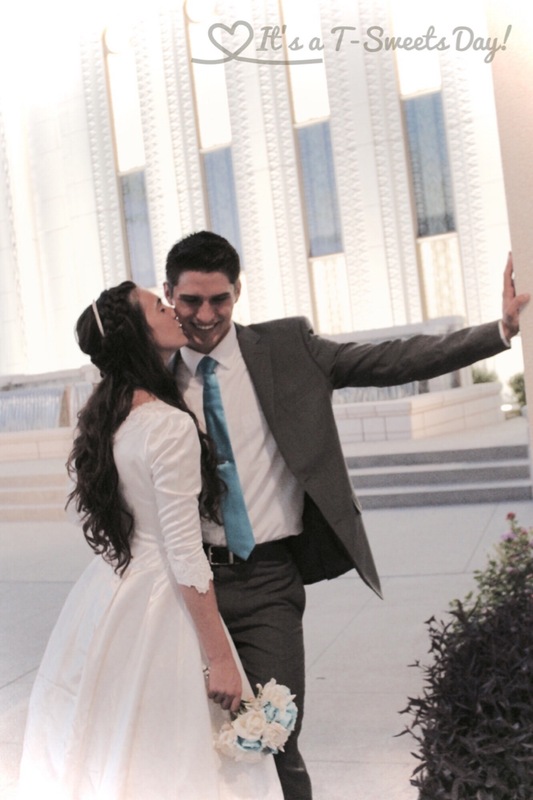 Like I said, it’s been a crazy wedding, lol:)! When it all adds up, it’s all about family. 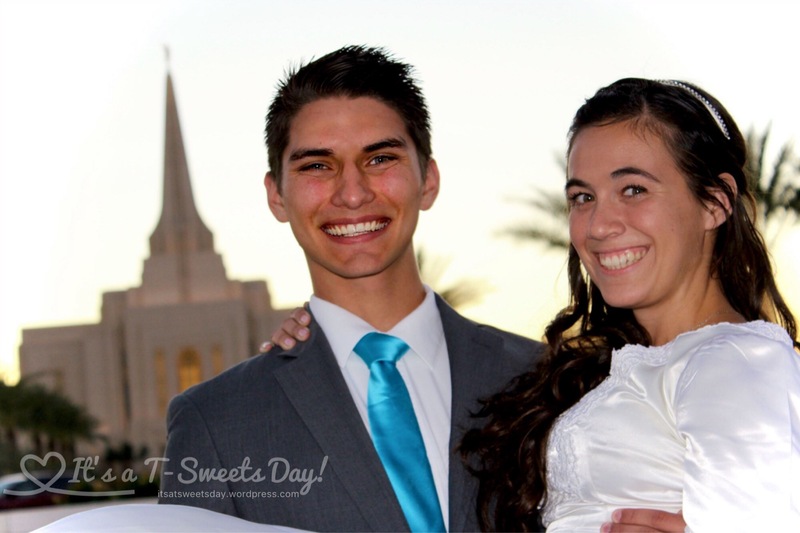 I am so happy for my beautiful niece and new nephew. Congratulations to them!! 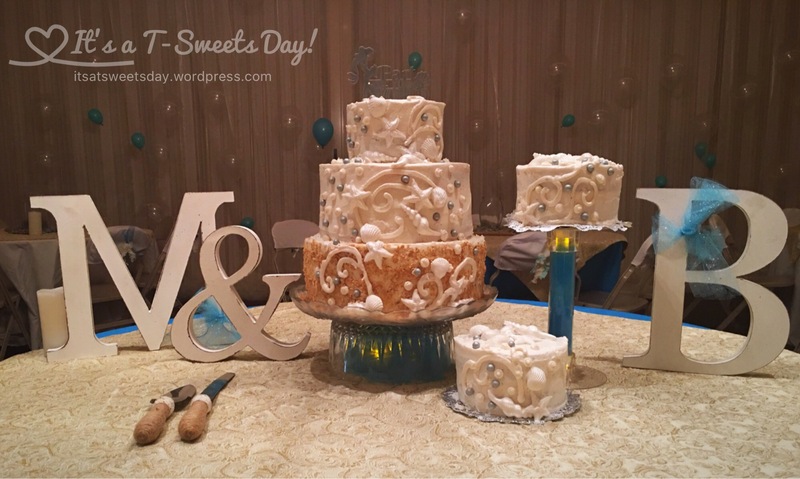 Thank you for stopping by my blog, I hope you have had a SWEET, crazy, weekend and holiday. It’s what makes life fun:)!